BCCL Sponsor & Board members attend BCCL Exclusive Political Briefing Lunch at the British Embassy, kindly hosted by Claire Lawrence, the British Ambassador to Lithuania. 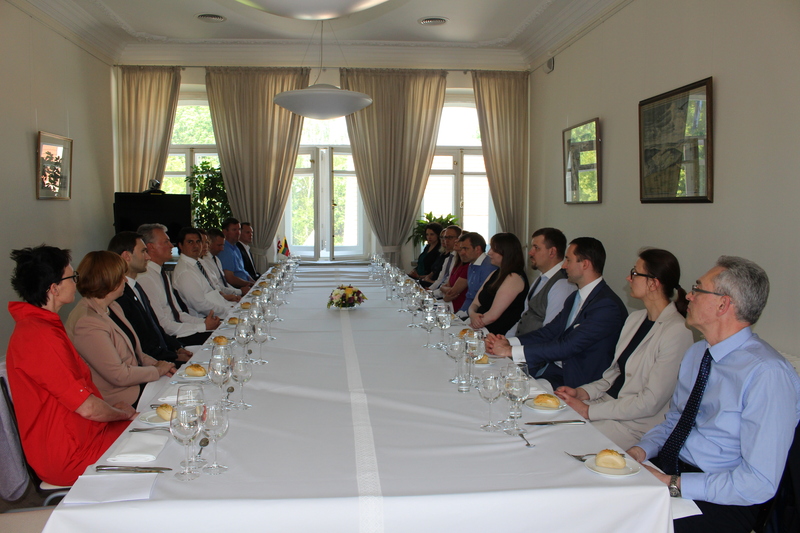 Our special Guest for round table discussion this time was Mr Gitanas Nauseda, Macro economist and advisor to CEO at SEB Bank, who willingly shared his thoughts about the Lithuanian economical/political situation and answered to questions. The discussion was moderated by Claire Lawrence, British Ambassador to Lithuania and Chris Butler, BCCL Chairman of the Board. The Political Briefing lunches are held twice a year and are kindly hosted by H.M. Ambassador. These small format events and with personal invitations only, create a platform for discussions with senior figures in the Lithuanian political and economical establishment, or occasionally with Political observers and Guest visitors from the UK.